Do you feel safe? Safe enough to risk going to the very edge of your abilities? If you are thinking “not quite” or even “no way,” then Dojo4Life is for you. Sign up to our mailing list. 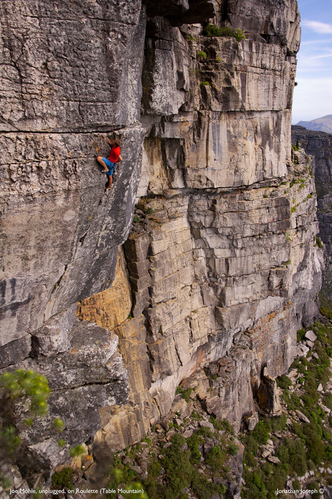 I remember watching one of Cape Town’s best climbers (Ed February) at his limit. He climbed precariously under the overhang. And fell. The rope caught, he swung himself back to his starting point. He tried again. For 2 hours. You can only go to your limits consistently if you can fall safely. Dojo4Life crowdcoaching gives you a safe way to stretch your limits. Whether you want to find a new job, master time management, become CEO; or you are CEO and want your company to grow; Dojo4Life will help you go safely to your edge.